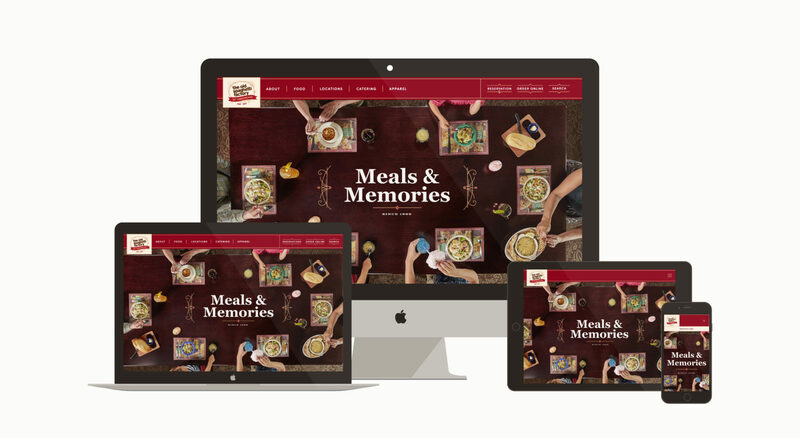 The Old Spaghetti Factory desired a new website that felt as unique and welcoming as their timeless restaurants. 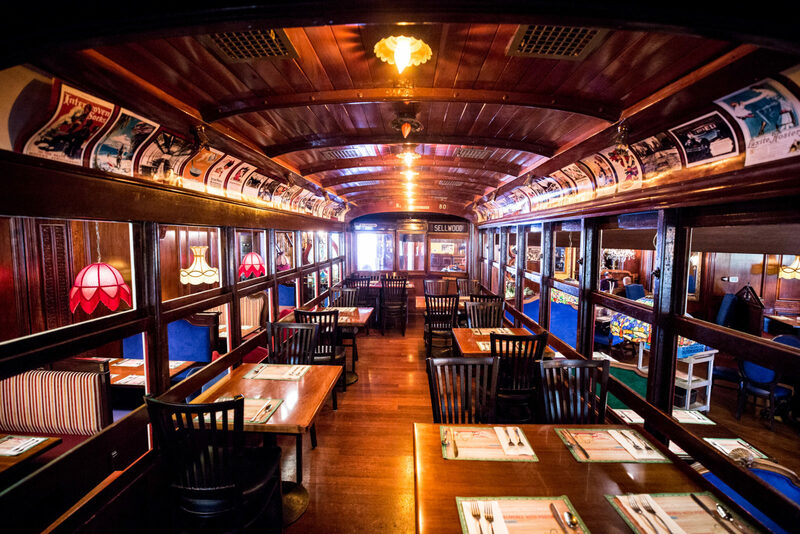 It all started in 1969 in Portland, Oregon with an old streetcar, a collection of vintage furniture, and delicious family recipes. 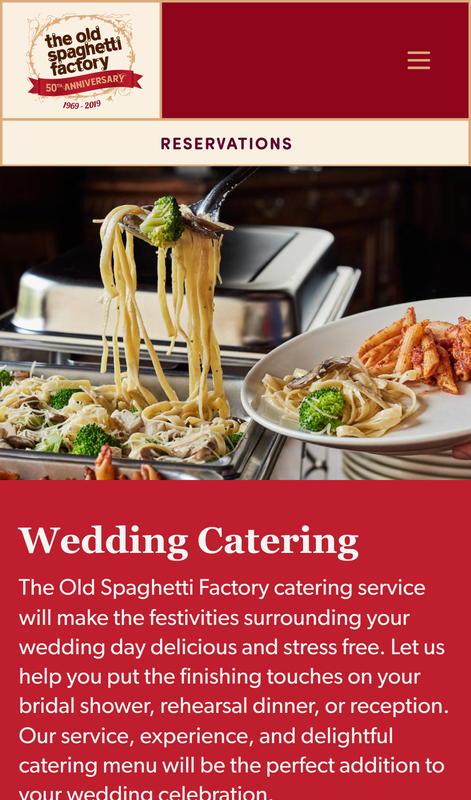 Today, The Old Spaghetti Factory is a national restaurant chain with over 40 locations. 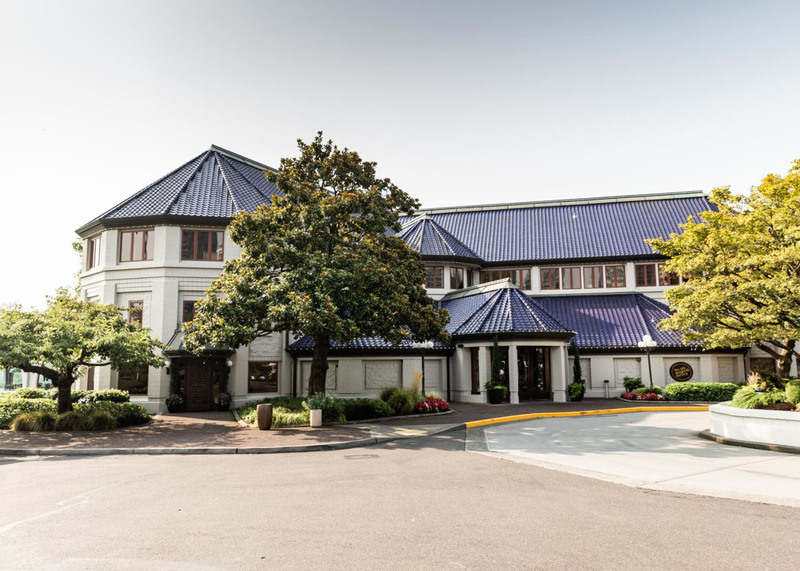 Our biggest challenge was bringing the uniquely memorable experience of physically being in an Old Spaghetti Factory restaurant to the online experience of the website. Through whimsical design, lush photography, clever copy, and top notch user experience, we brought the spirit of OSF to the web. The Old Spaghetti Factory doesn’t skimp on flourishes, so neither did we. The site features unique linework and borders inspired by chandeliers, metalwork, and stained glass. You’ll find delightful details on every page! 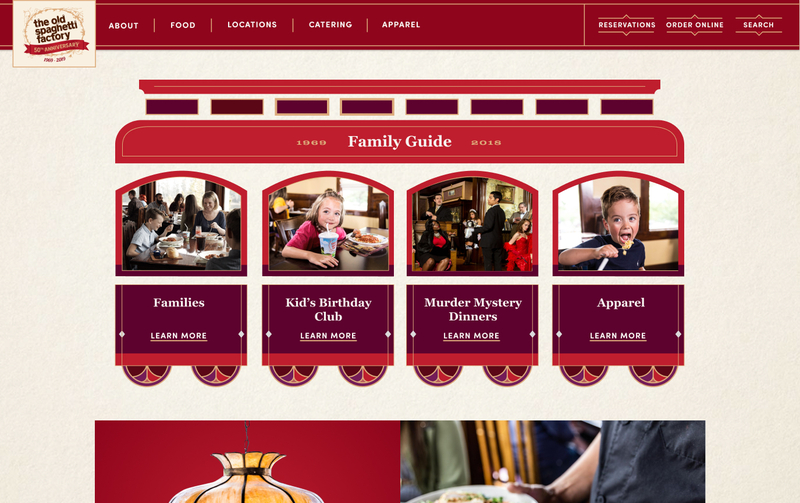 Because the trolley is a centerpiece of each restaurant, we wanted to feature it on the homepage in a surprising way. The illustrated trolley rolls into the homepages and functions navigationally, creating a fun way to move into the rest of the site. 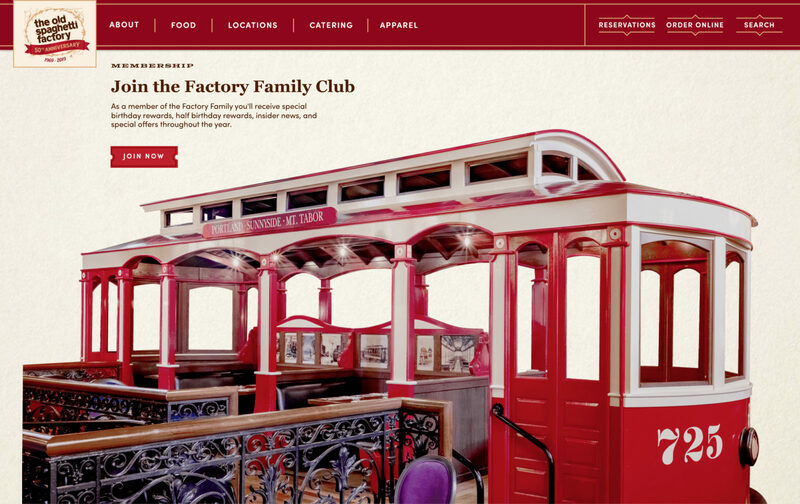 The design uses warm, bright, flavorful colors and features the Old Spaghetti Factory’s famous three course meals in illustrations and photography. 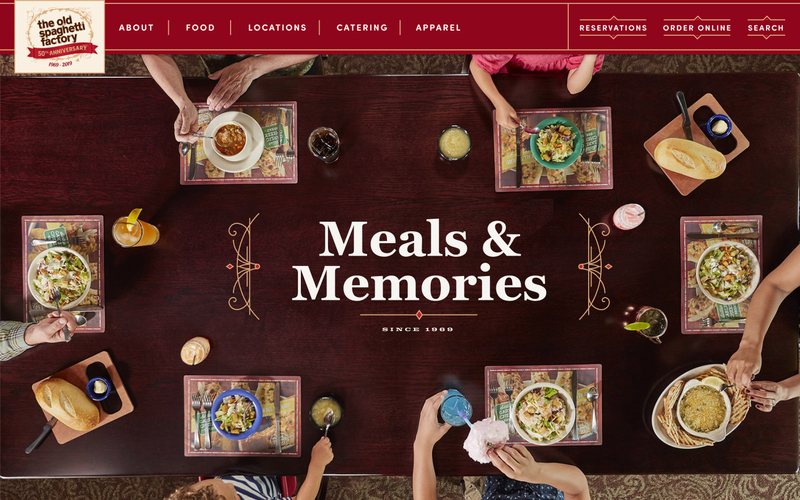 The homepage begins with a photo series of a family enjoying a three course meal, moving from soups and salads, through the main course, and right on to desert. 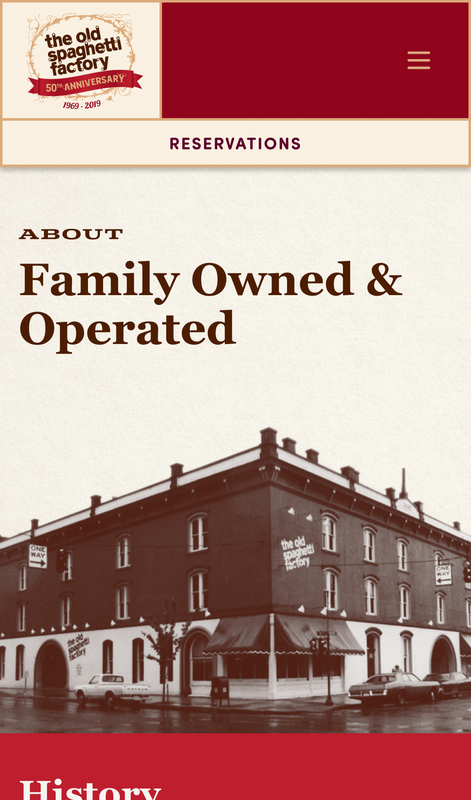 I have so many family memories of going to the Old Spaghetti Factory as a child. 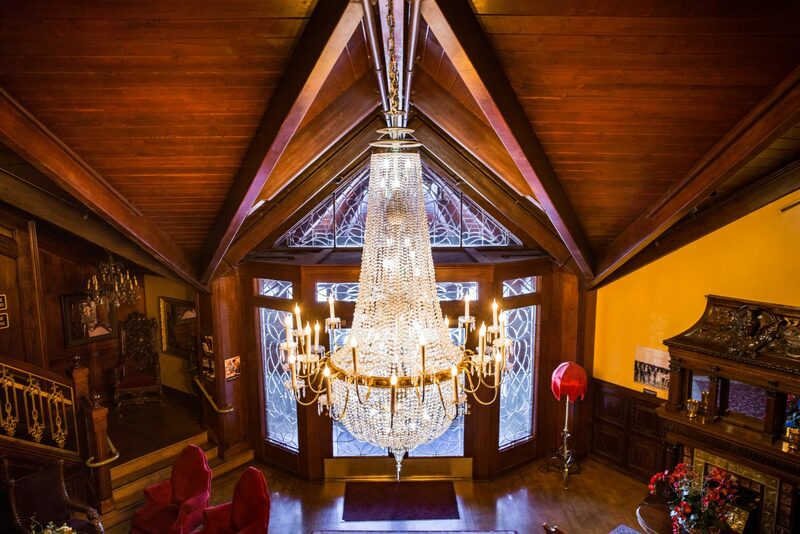 The chandeliers, the lights, the elegant chairs...it was magical to be able to bring that experience into the design of the website. 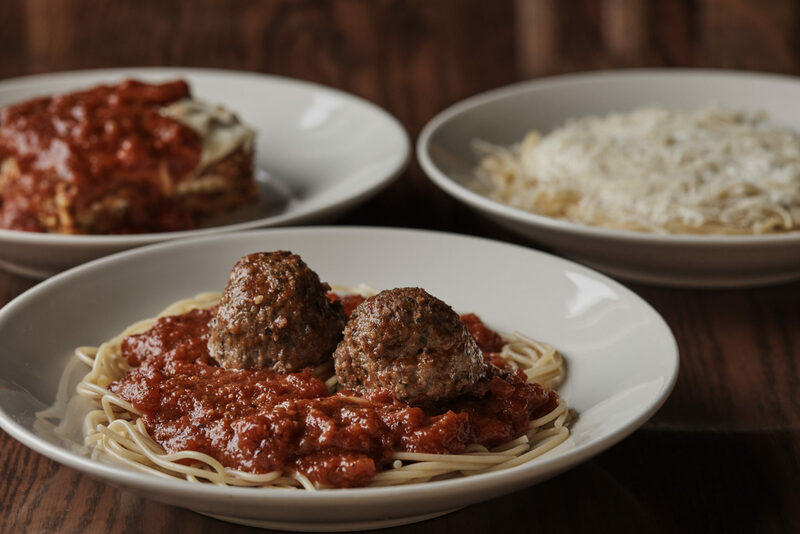 Though the Old Spaghetti Factory has many restaurant across the nation, most families will think of the location nearest them as their home location. In order to give each location it’s own unique real estate online, we created a customizable page for every individual restaurant. 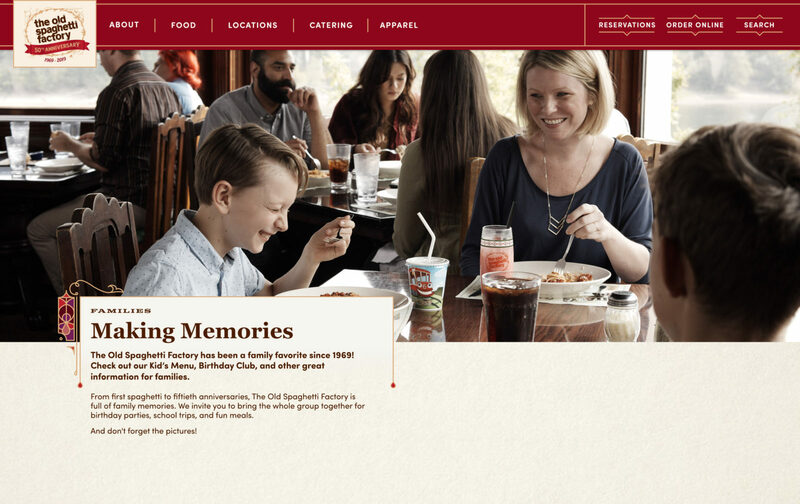 These location pages act as secondary homepages and will likely be the first page that users find if they search for an Old Spaghetti Factory in their area. Because of this, we made sure that each location page not only has the necessary practical information for users (hours, address, location offerings, etc.) but also conveys the character of the overall brand with fun facts, unique photos and, of course, stand-out design. 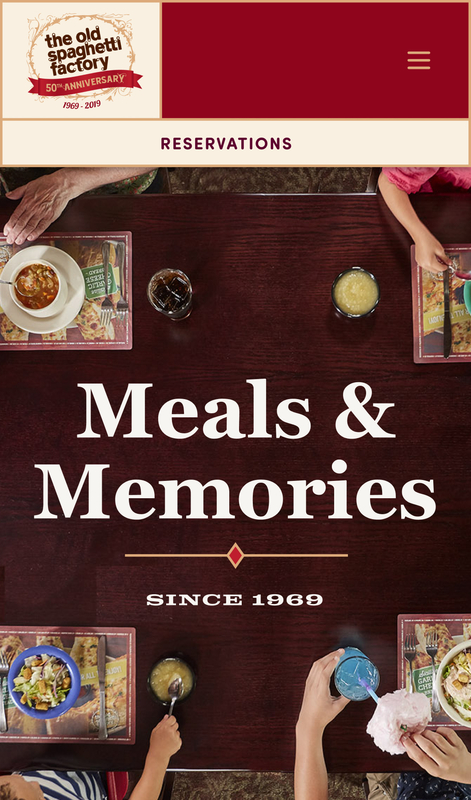 Family dining is at the center of the Old Spaghetti Factory brand and so became the focal point of our photography. 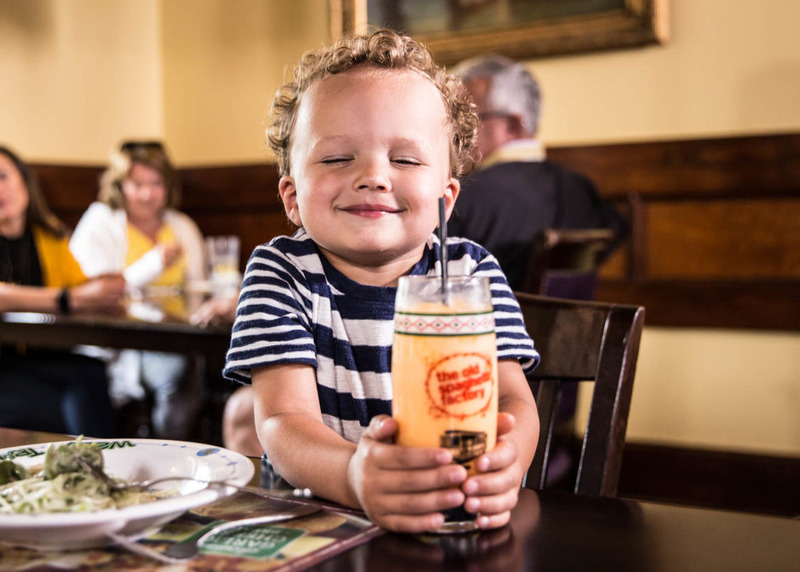 Over the course of a series of photo shoots, we photographed families eating together, children playing in OSF’s trademark trolley, and toddlers diving into bowls of spaghetti. We also created bright sumptuous food photography to showcase OSF’s dishes on individual food pages.